Three great forces swept across Connecticut in the 19th century. The first was the emergence of industry as the driving force of the state’s economy. The second was the great migration of European immigrants into the state to feed these new factories’ need for manpower. The third was the rise and spread of cities across the Connecticut landscape. Within a single lifetime, the slow-paced agricultural society of the Colonial period was swept away. 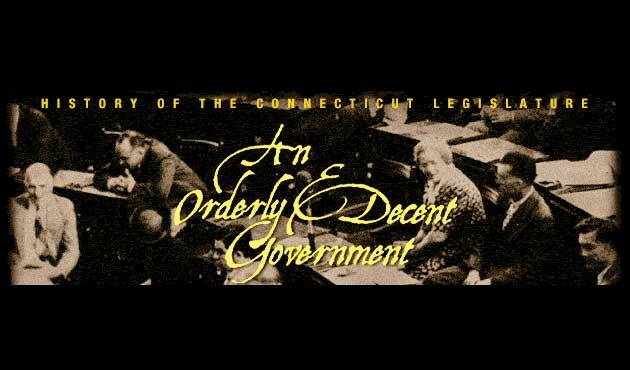 In its place grew up an economically dynamic and ethnically diverse Connecticut. The severity and relentless pace of these changes posed enormous challenges for the General Assembly throughout the century. Connecticut in the 1830sand 40s was a society in ferment. Yankee inventiveness and ingenuity pioneered the concept of interchangeable parts and made Connecticut the “Silicon Valley” of the 19th century. Legislators struggled to discover how best to support and regulate this new economy. In the 1840s and 50s, a massive wave of Irish immigrants arrived to find a place in Connecticut society. 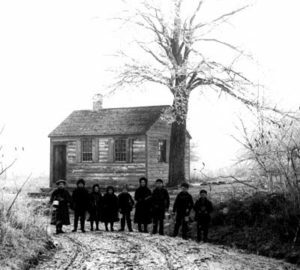 Their strong backs built the canals, railroads, turnpikes and factories on which the state’s prosperity rested, but their poverty, their foreign customs and their religion made them objects of suspicion and distaste among the state’s Yankee population. Social problems increasingly dominated the legislative agenda. The state’s common schools, victims of decades of neglect, stagnated, and parents sought the haven of private education for their children. Increasing instances of poverty, crime and mental illness challenged the legislature to develop new approaches to punishment and public assistance. Looming over all, like a darkening cloud, was the fundamental issue of slavery in American society. As social and political tensions multiplied, the state’s political life fractured in the 1850s into a array of new parties advocating anti-slavery, temperance and anti-immigrant causes. Finally, in 1861 a tragic war fell upon Connecticut.